Back in July of 2014, a speaker came out that changed the way I thought of Bluetooth speakers: the Ultimate Ears BOOM. At the time — and for many months after — this speaker was the benchmark by which all others were judged. Then came the MEGABOOM, a damn-near double sized BOOM. Again, benchmark-quality stuff. The ROLL is the smallest entry from Ultimate Ears, but that didn't stop it from also being incredible. Needless to say, Ultimate Ears has been putting out some of my favorite speakers over the last two years. Then JBL came along and changed the game again. I recently reviewed the Xtreme and Flip 3, both of which blew my mind in a way that I haven't experienced since the original BOOM. 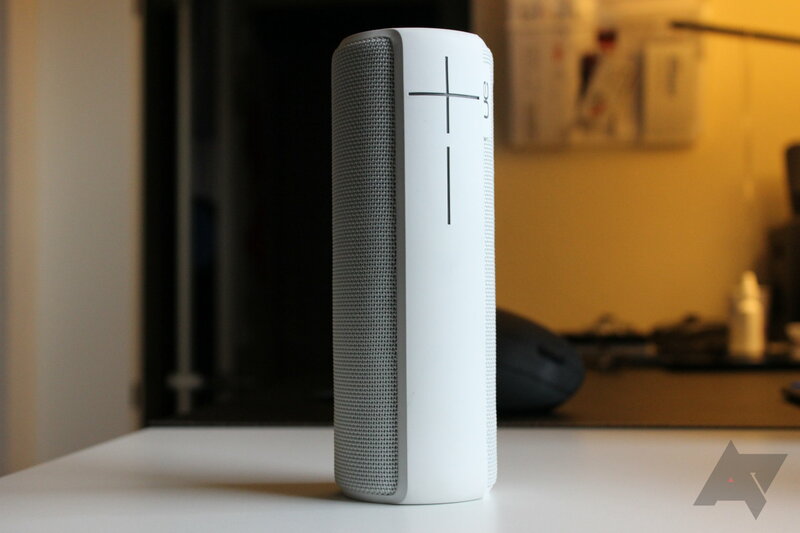 This raised the bar even higher for the BOOM 2 — not only does it have to improve on its predecessor, but it also has to compete with the Flip 3, which costs half as much, and Charge 2+, which is still $70 cheaper than the BOOM 2 (and an incredible speaker). Unfortunately, every king gets dethroned eventually. To put it simply, the BOOM 2 looks basically identical to the original BOOM. There are a few differences here and there — mostly things that are also found on the MEGABOOM — but nothing really out of the ordinary or that stands out. Really, the BOOM 2 is just a small MEGABOOM. And the MEGABOOM is just a big BOOM. 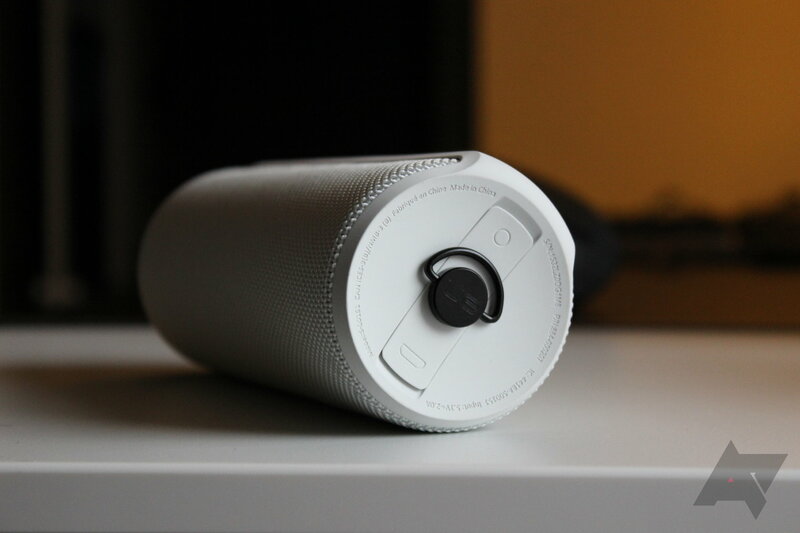 It's got the same cylindrical design that makes the BOOM speakers what they are, allowing for 360 degrees of sound. The power and Bluetooth buttons are still on the top, and the oversized volume controls are still on the "front" of the speaker. 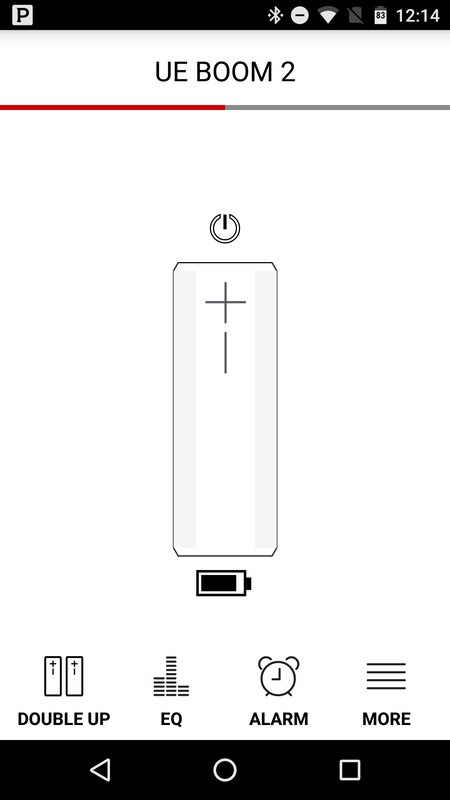 The bottom houses the microUSB charging port, auxiliary-in, and clip/tripod mount. The biggest difference here compared to the original BOOM is that there's a rubber cover on the USB and aux ports — a waterproofing feature that we first saw on the MEGABOOM. So, really, the BOOM 2 is just a small MEGABOOM. And the MEGABOOM is just a big BOOM. Everything comes full circle. UE didn't keep everything the same, however; it also had a few tricks up its sleeve for the BOOM 2. My biggest complaint about the BOOM speakers has historically been the lack of track controls. While I get that not everyone cares about this, I always prefer the option of being able to control the music from my phone and the speaker — it just makes sense to me. 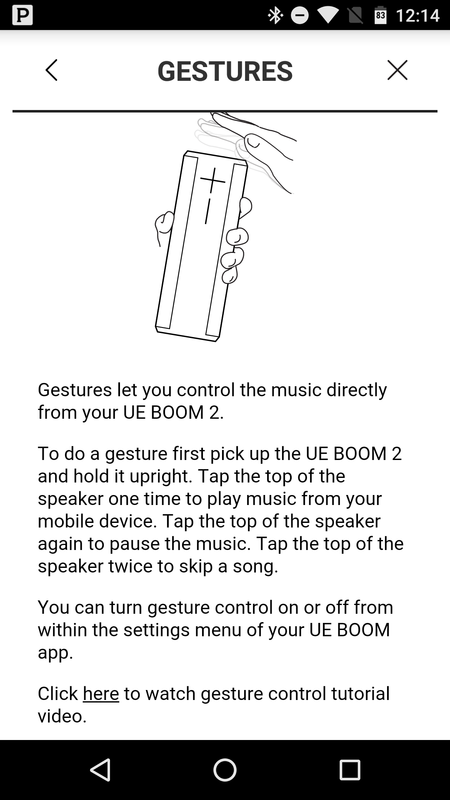 Instead of cluttering the BOOM 2's simplistic design with more buttons, however, UE went another direction to add this feature to the speaker: gestures. Really, it's pretty damn sweet. These gestures are stupid-simple to use, too: pick up the speaker (yeah, it has to be in your hand before this will work) and tap the top to pause the music. Tap it again to play. Tap it twice to skip to the next track. It's brilliantly simplistic, and I love it. Oh, the newest update pushed out by UE — the one that brought Block Party mode — also brings these intuitive gesture controls to MEGABOOM. If you have a MB and haven't updated it yet, you probably should. 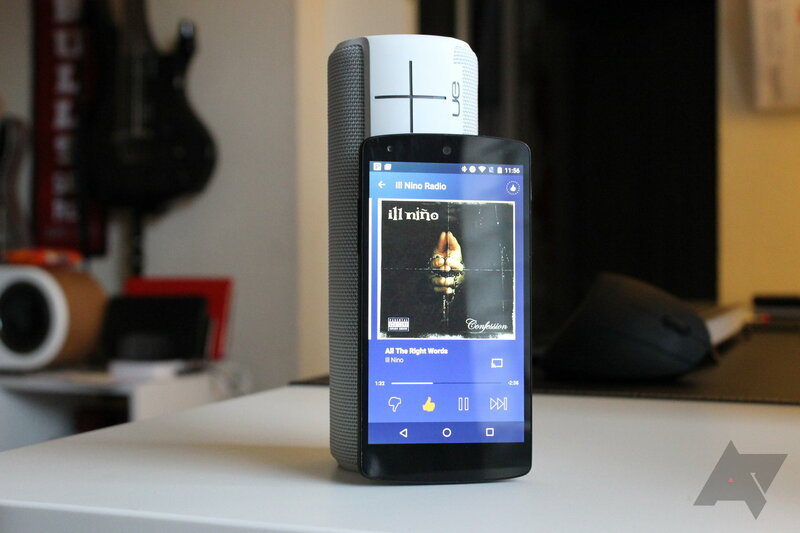 As far as additional features are concerned, it's hard to ignore the UE BOOM app. 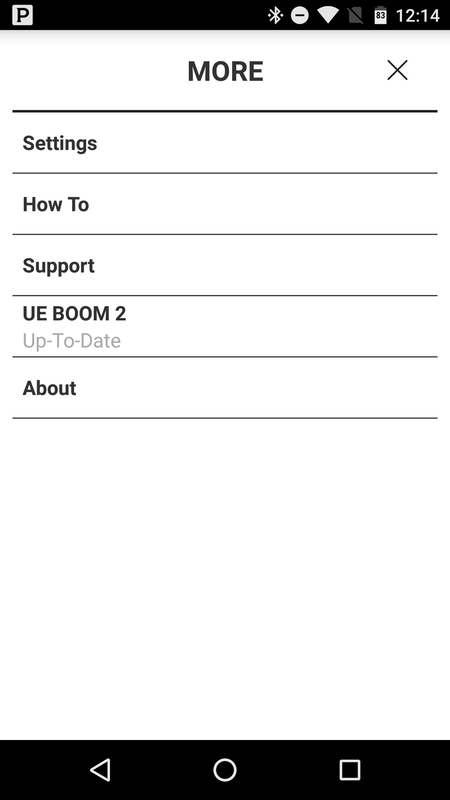 Out of all the Bluetooth speakers I've tested (which is a lot), UE easily has the best app support. The BOOM app is a huge part of the value in this speaker, because it's not only how the speaker receives updates, but also brings a slew of additional functionality. Most notable here is the equalizer, which modifies the speaker's internal EQ to the listener's liking — there are a few preset options or everything can be manually dialed in. No other speaker that I've used allows this sort of customization. This is also where some of the more "advanced" features of the BOOM are found, like the option to use it as an alarm clock. 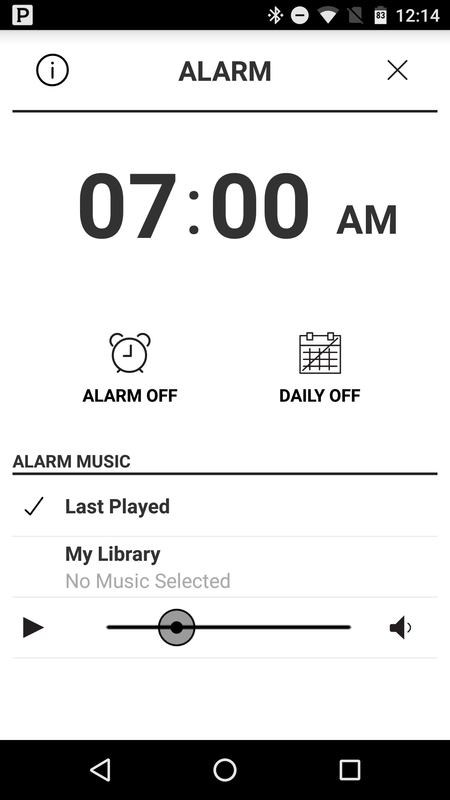 Thanks to Bluetooth Smart, the phone that's paired up with the BOOM will be able to turn it on over Bluetooth and automatically start playing whatever music is pre-set to be used as the alarm. It's pretty sweet. The main downside here is that it's not very configurable — you can only set the alarm to ring the next day or every day, nothing in between. It would be nice to be able to set multiple alarms for multiple days, but I guess that's what the alarm clock on your phone is already for, eh? Lastly, there's Double Up mode. This allows two compatible speakers — anything from the BOOM line (including the ROLL) will work together — to be paired together for stereo sound. 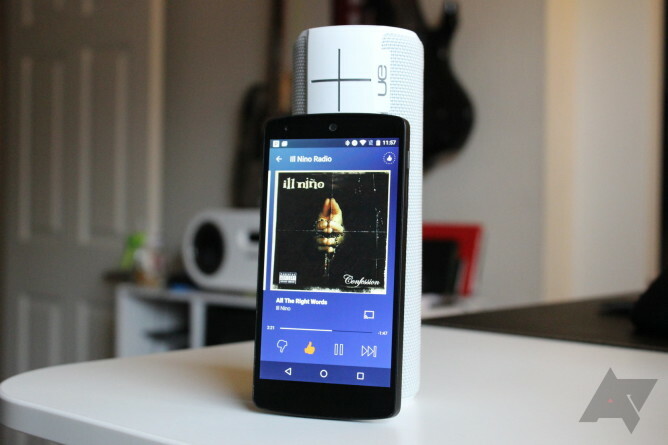 While I don't quite expect anyone to buy two UE speakers just for this feature, it's pretty neat if you happen to have two speakers or have a friend who also has a UE speaker. As I've already said, Ultimate Ears has always been one of my favorite speaker companies. 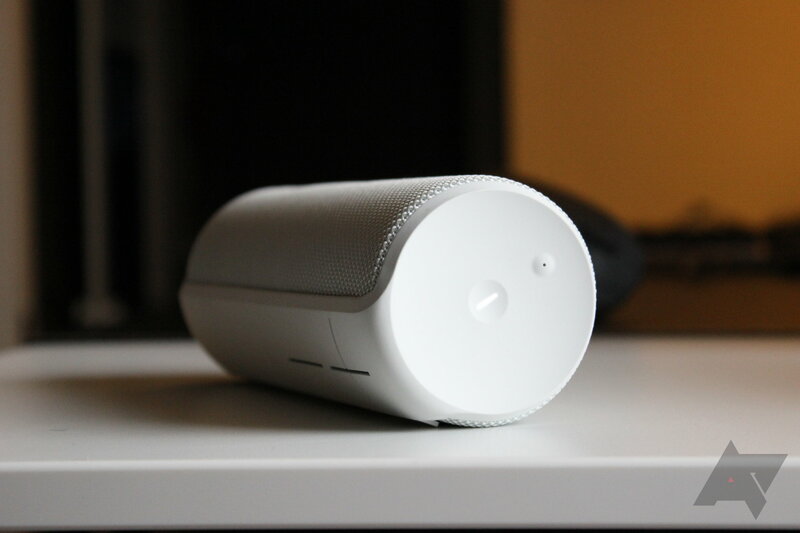 I feel like it almost single-handedly changed the entire Bluetooth speaker market for the better with the original BOOM. Every company after had to try to match what no one else before it was able to do. That's the very definition of a game-changer to me. So here we are, some two and a half years later with that speaker's successor. This speaker is more defined by its features than sound quality. So, does the BOOM 2 sound better than the original BOOM? Yes. By a large margin? Yes. It does sound quite good in its own right — very articulate and clear, with decent low end. But all in all, I feel like this speaker is more defined by its features than sound quality, which is a bit interesting. The BOOM 2 has features other speakers are lacking — mostly in the app — but for the first time ever, it's second place in the sound department. Much like the JBL Xtreme took the crown for best large speaker in the $300 range (over the MEGABOOM), the JBL Charge 2+ and Flip 3 are easily the speakers to beat when it comes to sound…especially for the price. And to be completely blunt, the BOOM 2 just doesn't do it. Don't get me wrong — it sounds good. Really good. It has excellent balance, pristine highs, and is incredibly clear. For all intents and purposes, this is a great-sounding speaker. But then we have to look at the price you pay for that sound ($200) and compare it to the competition. The Charge 2+ is $130; the Flip 3 is $99. And they both sound better than the BOOM 2. So, for half the price (or a bit more), you can get a waterproof speaker that sounds better. 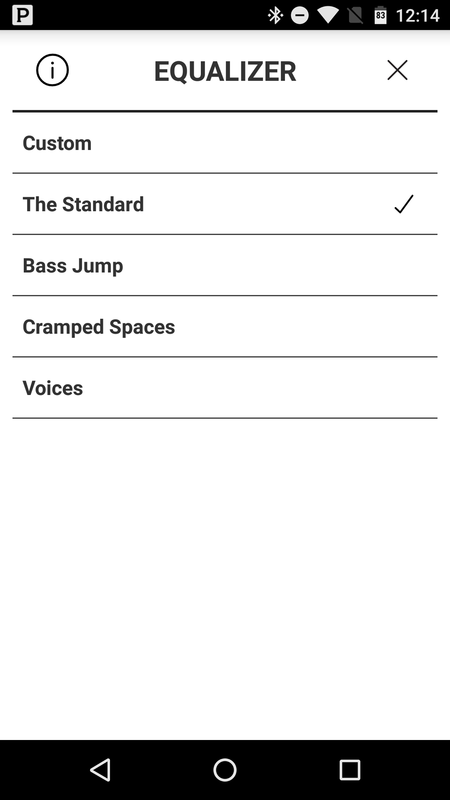 While none of the JBL offerings have the app support or feature set of the BOOM 2, they both sound better. Plain and simple. The competition would definitely be a lot tighter if UE released the BOOM 2 at even $150. JBL's recent entries into the market are simply impossible to ignore. 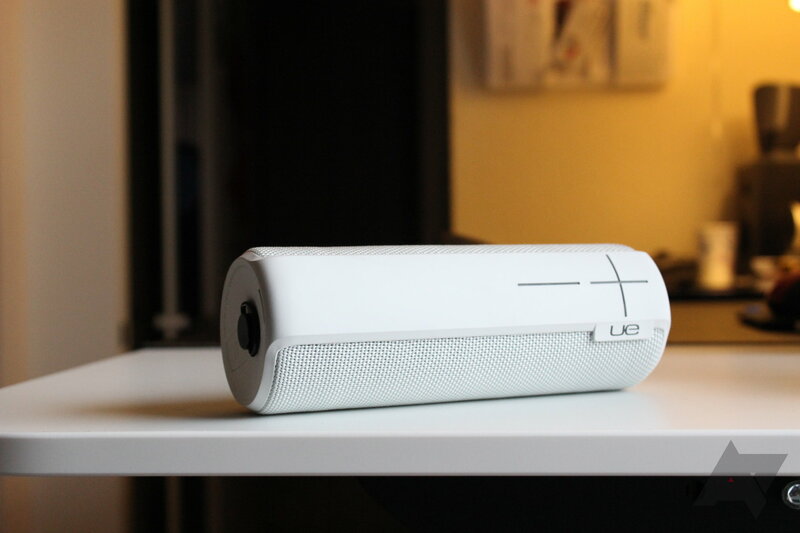 Ultimate Ears makes great speakers, and the BOOM 2 is no different. It's a great speaker — it's just no longer the best choice. JBL's recent entries into the market are simply impossible to ignore, especially for the price. Of course, the BOOM 2 is a solid second choice, and probably the best one if for some reason you just can't stand the idea of buying JBL. The app support is fantastic, and UE has proven on multiple occasions that it's committed to bringing new features to its speakers, which is something that I can't say for any other company that I've reviewed. 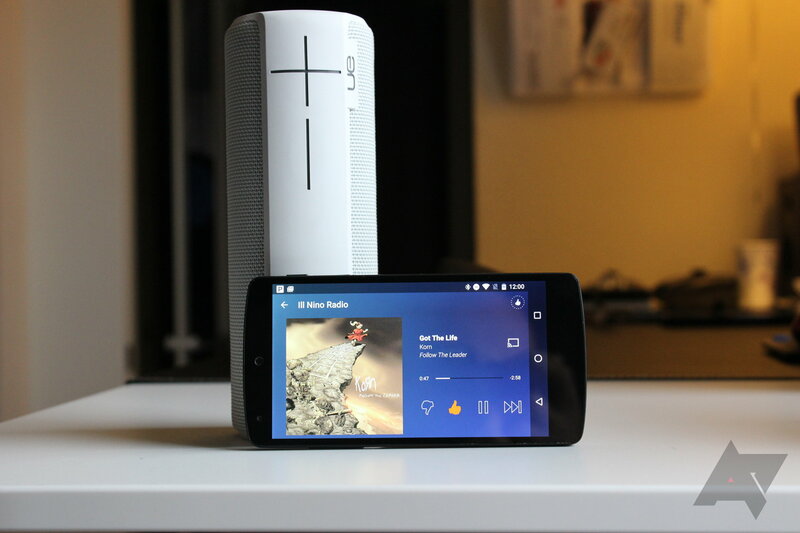 So, if sound quality takes a second seat to features, future updates, and a companion app, the BOOM 2 is probably your best bet. But if you want a speaker for the core of what it's designed for, then you absolutely can't go wrong with the new JBL stuff. For those curious, I always use the same playlist when testing speakers. If you're interested in checking it out, you can find it on Google Play music. I generally also have one or two albums I can't stop listening to with each new speaker. For the Boom 2, I actually just ended up jamming Ill Nino Radio on Pandora.